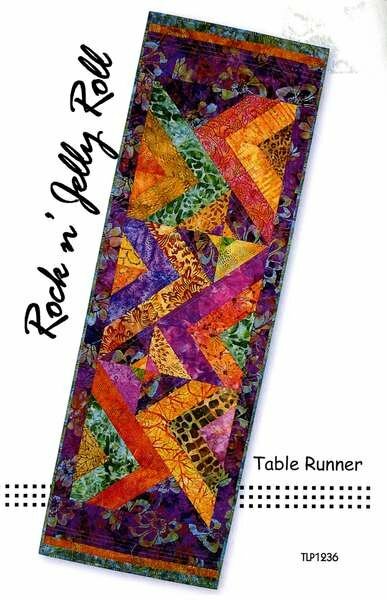 Jelly Rock n' Jelly Roll Table Runner TL1236. Table Runner: 16-1/4in x 40-1/4in. Completely made using 2-1/2in strips and a theme fabric. Simple techniques for perfect results. Easy enough for ambitious beginners.